A room divide with a difference! We don’t just do models! 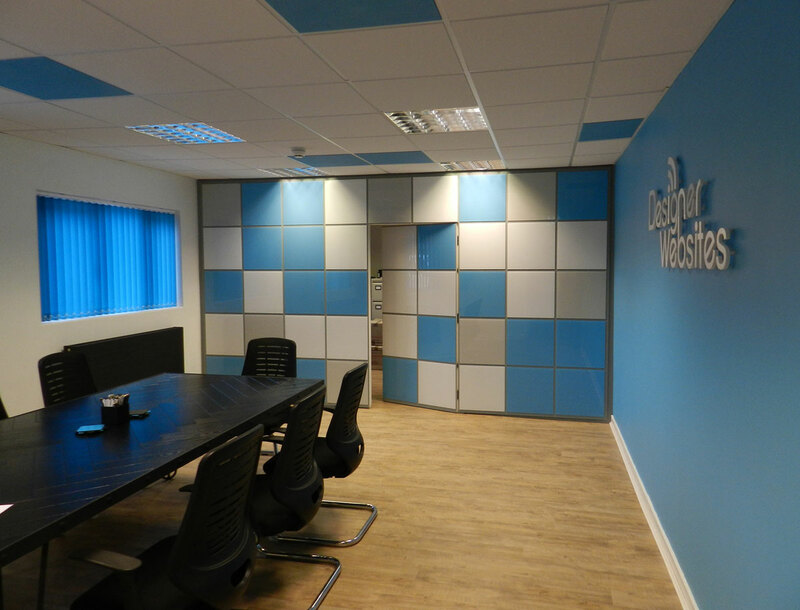 When our website guys “Designer Websites” asked if we could come up with a quirky installation for their refurbished meeting room we suggested this “designer” partition wall featuring custom-made tiles and a hidden door. 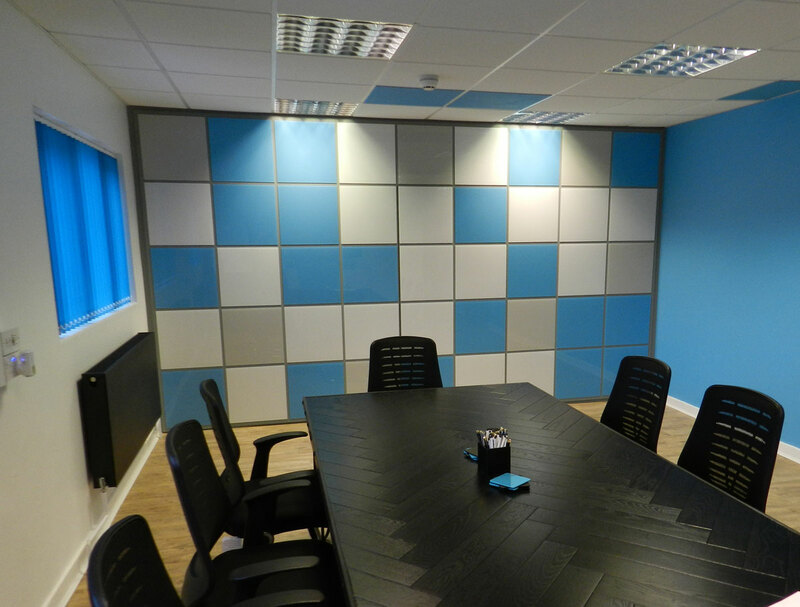 They needed to divide the room and we felt this was a more interesting solution than a painted stud partition wall with a standard door. The tiles are made from back-sprayed clear acrylic using colours from their logo and arranged in a pattern they designed themselves. The flush fitting “secret” door closes automatically to avoid the need for a handle on the facing side. 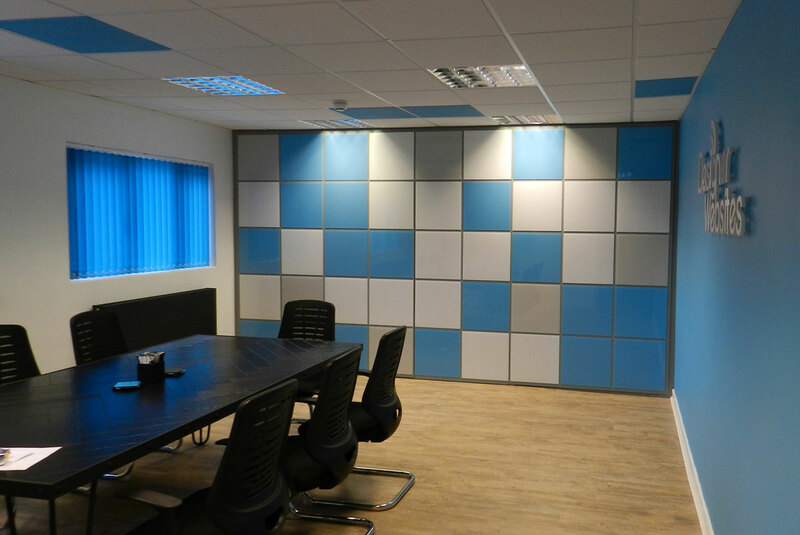 The whole installation was built in our workshop in three sections so that it could be delivered and installed on site with minimum disruption. Designer Websites were keen to get us involved because all the main refurbishments in the room (floor, signage, table, blinds, etc.) were provided by other companies they’d built websites for – a good opening talking point for meetings with potential new clients.